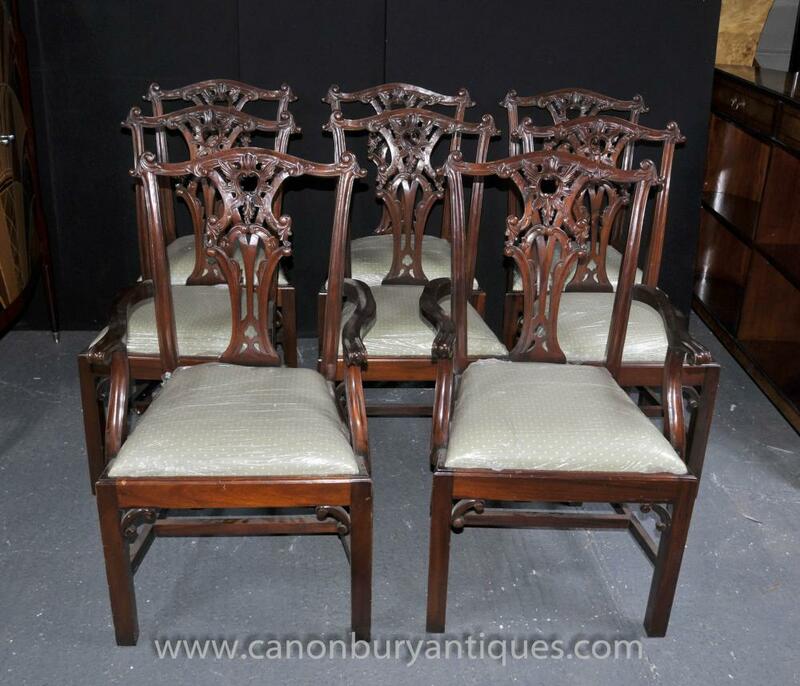 You are viewing a gorgeous set of 8 English Rustic Chippendale dining chairs. 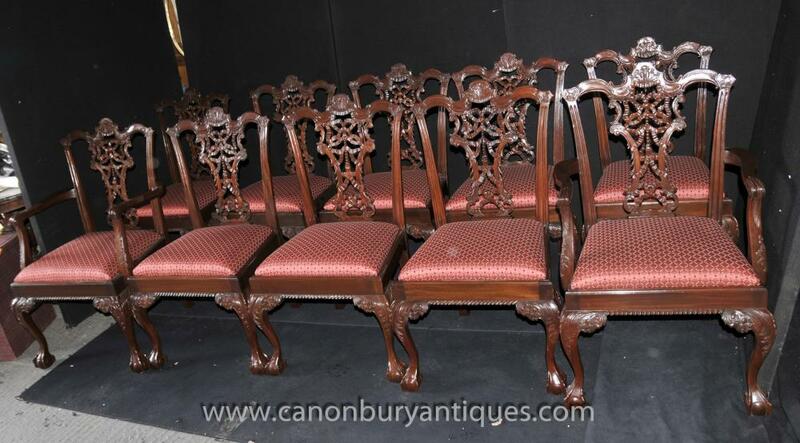 The set consists of 6 side chairs and 2 carvers. I hope the photos does it some justice, it’s certainly more impressive in the flesh and it really is the ultimate dining set. If you are looking for that rustic, cosy look that is so popular at the moment then look no further as this is it. 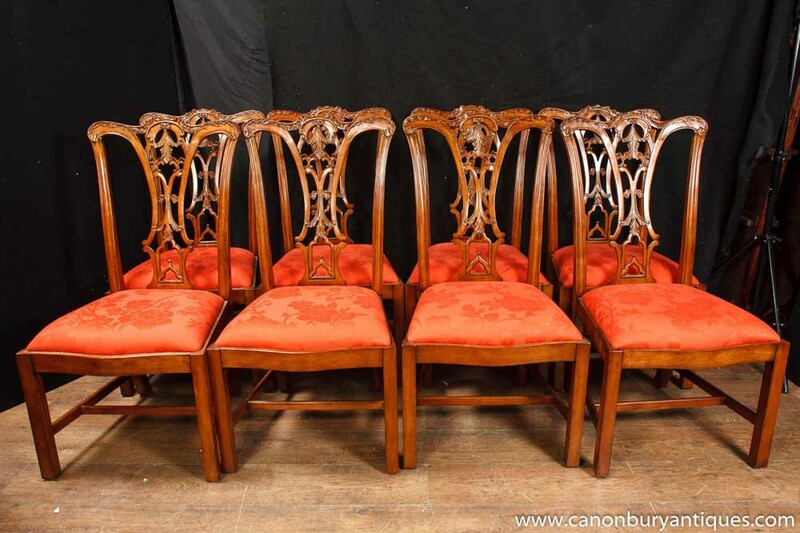 The chairs have straight legs (unlike the normal ball and claw feet on the more formal Chippendales). 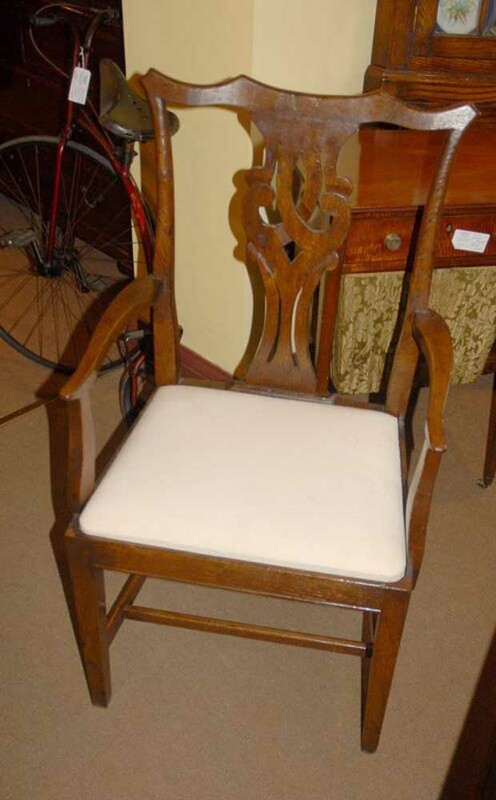 The backsplat is hand carved and features the typical Chippendale motif. 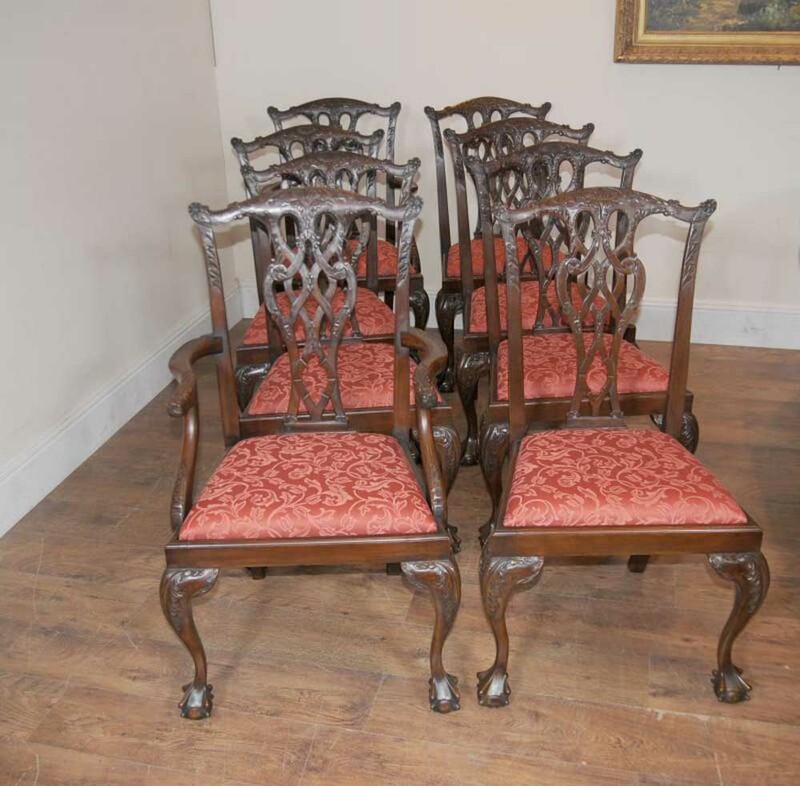 These are solid and sturdy, no wobbles to the join and ready for home use right away. They are very comfortable to sit in. 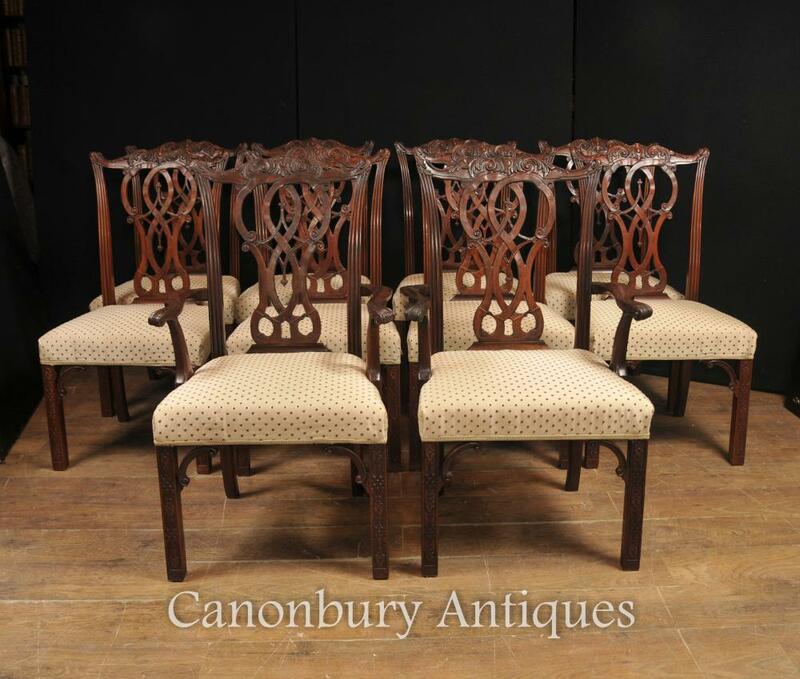 The seats have been reupholstered and hence are free from any previous owners smells such as pets and smoke. The seat covers are a lovely white fabric calico. 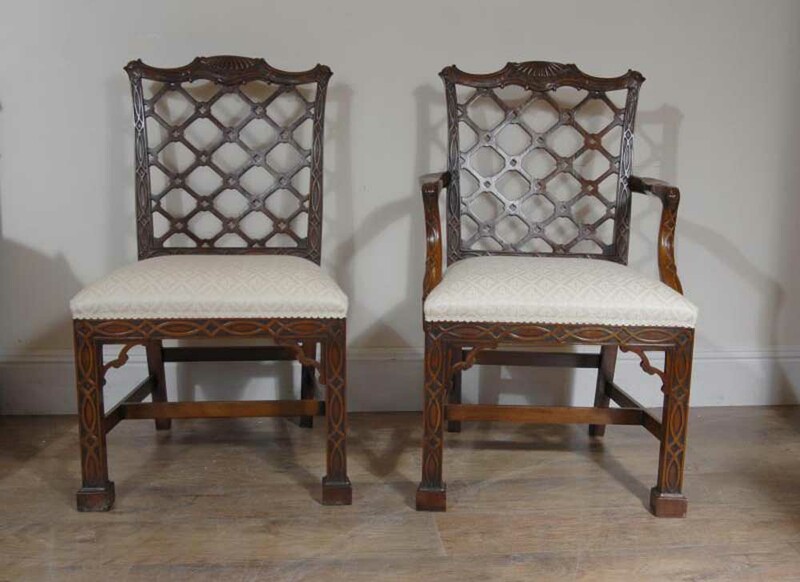 We bought these from a dealer in Sheringham Norfolk. We also have a matching rustic table we have shown these around we have available for sale and we have included some photos of how this looks. If you are looking for a great rustic dining set up this is the ultimate. We will ship to anywhere in the world.